Buying a home can be a very daunting time with mixed emotions, our staff are here to take that stress away and make the whole process a pleasant experience for you. The first thing we recommend you to do is speak to your finance broker or bank to arrange the best mortgage to meet your needs. Once you know your budget the exciting time starts - searching for your dream home! Think of the area in which you would like to live, you can use many ways to search for property: social media (facebook & Instagram), website portals, Domain property guide. 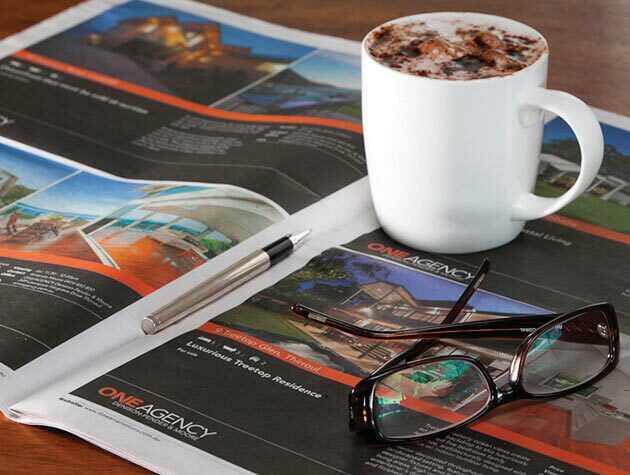 Register your details with a One Agency Agent who will be able to alert you of new listings. Once you find your dream home the next step is to make an offer! Our staff will guide you through this process, extra conditions to your offer may be a building inspection, subject to finance or the sale of another property to complete the sale. When a contract is finalised you will need to pay your deposit. Please note that your deposit will be held in our trust account which is a non-interest bearing account. The next steps are meeting relevant clauses to the contract and before settlement your conveyancer may recommend you complete a pre-settlement inspection to ensure the property is in the same condition as it was when you first inspected it and that all chattels are in working order. The most exciting part of the transaction - collecting the keys! Once the property has settled your conveyancer will call you and then you can collect the keys to your new property from our office.